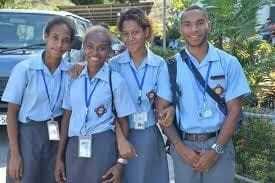 Jubilee Catholic Secondary School in Port Moresby has continued its strong tradition of academic excellence, ranking again among the top ten schools in the country in this year's national examinations. The Department of Education has released results from Grade 10 examinations with the coeducational Lasallian college among the top four performing schools from the National Capital District. 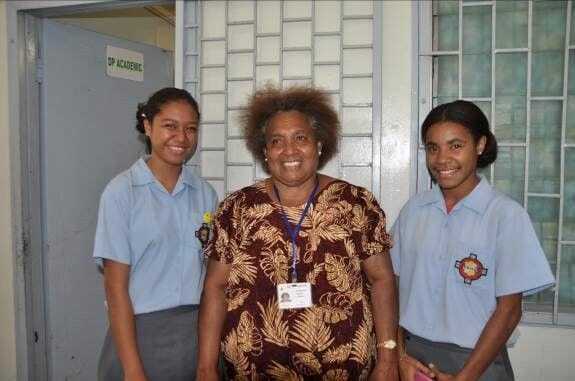 Under the leadership of its dedicated Principal, Mrs Bernadette Ove, Jubilee Catholic Secondary has established itself as a leading academic school, with many of its Year 12 students proceeding onto tertiary study at PNG universities. Its excellent results in the Year 10 examinations were recognised with a special award this week presented by the Education Department. It was the first time top performing PNG schools were recognised in this way and the PNG Government is committed to making the awards an annual tradition. "We must recognise some schools that are doing exceptionally well to help inspire others that are not doing so well", Acting Secretary for Education, Dr Uka Kombra told PNG Loop News. "At the same time, we also looked at the schools that are improving where we recognise the schools that have improved a lot over the last three years to motivate the schools that are not doing too well." The Most Improved Awards based upon Year 10 results were presented to Lae Secondary School in Morobe and Muaina Secondary School in Simbu.